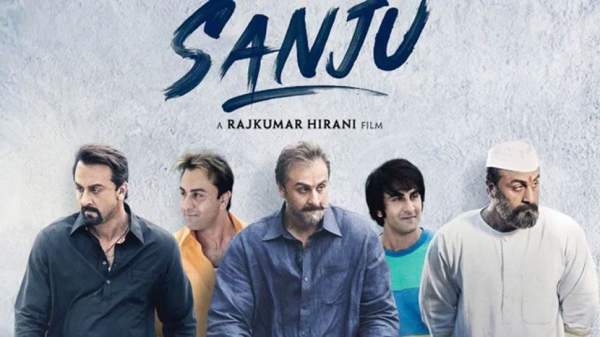 Sanju, the biopic Hindi film, has entered in its 12th day of release at the box office. So far, its collection has reached Rs. 275 cr in India (excluding 2nd Tuesday). Today’s earnings and occupancy has been reported in detail below. Sanju, on its 11th day, collected Rs. 9.25 crores. It experienced a huge drop from second Sunday, but that’s quite normal. What’s interesting is that only big movies can sustain such level of occupancy even on its second Monday. Also, it was a normal working day and not a holiday. So, considering all the facts, Sanju has been performing really well. It has been maintaining a stronghold all over the world. In the first 11 days, it has been successful in collecting over 110 crores from overseas markets. It has earned a humungous amount of money. Now, the movie is heading towards its new target – the 300 crore club. It is targeting the figure of 300 in a rapid manner. Today, it will cross the 280 cr figure for sure. If not Sanju 2nd week collection, then 300 will be achieved by the end of the 3rd weekend. Sanju saw a drop of around 12% on Monday from its 2nd Friday. So, today’s earning won’t be much different. The 2nd Tuesday collection is expected to drop by 30% as per the early reports. It has already become the 8th highest grosser (Hindi) film ever. The 2nd-week collection of Sanju will settle around 95 crores. Salman Khan starrer Race 3 started well but failed as the Eid festival got over. So far, in its 21 days run, Race 3 has collected Rs. 300 cr worldwide. And after the release of Sanju, the Race 3 collection got even worse. Had it been released in a holiday period, then it may have easily targeted the collection of Dangal. But, it certainly looks out of reach now. It looks like that Sanju will cross the lifetime earnings of PK, Tiger Zinda Hai, and Sultan. It may become the first Hindi movie to cross the mark of 400 crores. Next articleSacred Games Season 2 Release Date & Cast: Will There Be Another Next Installment On Netflix?